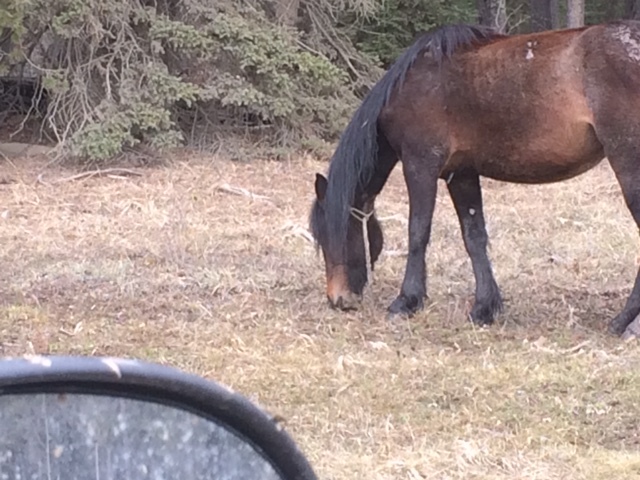 WHOAS had learned that some illegal roping and chasing of wild horses had occurred in various locations within the Sundre Equine Zone. The information that we received was passed along to the authorities in hopes that the perpetrators could be apprehended. Last Thursday we received notification of the above young stallion having a lariat wrapped around his neck. Acting on this we spent two days tracking him down. We determined that the only way to help him to prevent injury to himself was to attempt to capture him in order to safely remove the lasso. We applied for a permit from the AEP and were issued one. The permit allows us to catch the boy, remove the rope and then release him. We are in the midst of doing this and will update you of the progress. 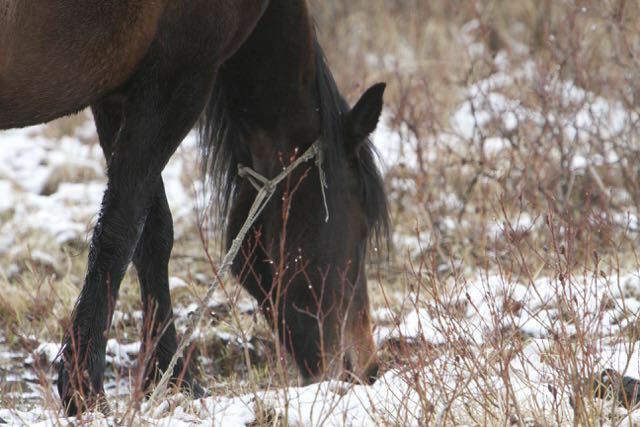 Click on the Report to the Community at the top of the page which shows the latest wild horse counts done by the province in March of this year. Where you able to help this guy? Makes me angry that people can not leave our wild horses alone. If you want to feel tough go rope a bear!